I believe that Palestine, as do many people, is a key to peace in the Middle East. Its occupation by Israel is a sore in the body politic of the whole Middle East and affects many people around the world. As long as it remains unresolved there will never be hope for peace for Palestinians, Israelis, or anyone else. But what can be done to turn this painful situation for all concerned around, where is the Hope? I believe we must look to the Palestinian Women Human Rights Defenders and Peacemakers, and take their lead and guidance as to how best we can support and help them in their painful and dangerous work for Human Rights and Freedom for Palestinians. As women living in the midst of an Israeli occupation, built on an Apartheid System, Palestinian women know the high cost emotionally/psychologically/physically and financially of the Israeli Military occupation and aggression. Their solutions–working for an end to the repression and occupation, the right to self-determination, and a Palestine built on human rights and international law–deserves the support of fair minded people around the world. Palestinian women HRD and peacemakers in resisting the injustices being perpetrated upon their people deserve our support and we must each do what we can to break the silence. We can applaud and totally support their ‘spirit of resilience and their nonviolent peaceful civil resistance’. Palestinian women human rights defenders are an example to us all, showing by their lives how human dignity and equality must be won, by replacing fear with courage, hate with love, war with peace, enmity with friendship. Palestinian women know that the Israeli people are not their enemies, but it is the unjust policies of an Israeli government they strenuously and courageous oppose. Another form of violence faced by Palestinian women is the injustice of patriarchy, within which women’s voices are often silenced not only in Palestine, but in many countries. However, Palestinian women human rights activists know that whilst working for freedom for Palestine. They must also work for individual human rights and freedom for themselves and their children. Freedom includes the civil rights of health care, development, etc. The women of Palestine have a right to freedom of conscience, personal choice, and the right for their choice to be respected both by religious, civic and political authorities, as have all women everywhere. Particularly in the area of health care, it is important to affirm women’s moral autonomy in making healthcare decisions and ensure they will have the means to follow their decisions in their lives. In spite of so many problems there is hope; and Palestinian Women Human Rights defenders and peacebuilders are the very bearers and channels of the hope and change that is already happening in Palestine. We global women help the Palestinian women human rights defenders by letting them know that we love them, we hear their voices. And knowing that many Palestinians cannot leave their country, we will be their voices and tell their story to the outside world. We know their suffering and we take inspiration from their courageous spirit of nonkilling and nonviolent resistance. We know Palestinian women are great peacemakers simply because they give their lives each day, in service of their families and communities; this is the soul of peacemaking. Palestinian Women Human Rights Defenders are the custodians, carriers and transmitters of the moral and ethical values and standards of what it means to be truly human. How difficult, some would say impossible, to teach the values of love, forgiveness, kindness, nonkilling whilst living in the midst of military occupation, siege and war. In my many visits to Palestine, I have witnessed in abundance all these values lived fully by the women of Palestine, and I have been touched and inspired by their lives. As the Nobel Women’s Initiative meet in the Netherlands to discuss how to protect Women Human Rights Defenders, I hope we can agree that breaking the Silence on Palestine, and insisting that people have a right to know what governments are doing in their name, is a way in which we all, especially journalists, media, can help. We too can support the Palestinian nonviolent movement and respond to Palestinian civil society when they ask us to support the Boycott, Divestment and Sanctions campaign to help end the Israeli military occupation. We can especially pledge to support the ongoing Palestinian and Israeli HR and peace movements for justice believing that genuine diplomacy, dialogue and listening brings us to a new understanding of each other, being the only way to peace. 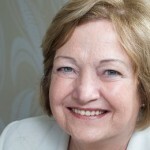 Mairead Corrigan Maguire, co-founder of Peace People, is a member of the TRANSCEND Network for Peace, Development and Environment. She won the 1976 Nobel Peace Prize for her work for peace in Northern Ireland. Her book The Vision of Peace (edited by John Dear, with a foreword by Desmond Tutu and a preface by the Dalai Lama) is available fromwww.wipfandstock.com. She lives in Belfast, Northern Ireland. See:www.peacepeople.com. Click to share this article: facebook | twitter | email. This article originally appeared on Transcend Media Service (TMS) on 27 April 2015.